Indie Retro News: Diamond Digger - Brilliant new ZX Spectrum release! Diamond Digger - Brilliant new ZX Spectrum release! 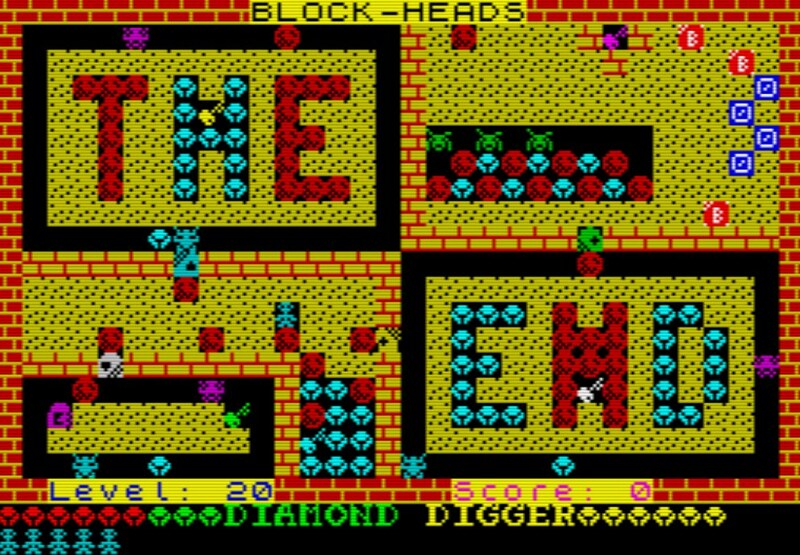 Of all the ZX Spectrum titles to be released so far, Diamond Digger by Battle Bunny & davepierce07 has to be one of my favourites. Following in a similar theme to Dig Dug, with ground based digging and falling rocks. The aim of this game is to collect the 50 cyan diamonds and the 5 keys on each of the 20 levels. Although it would've been nice to have some music while playing, the graphics for a homebrew are pretty decent with easy to master controls. Also make sure to collect the items scattered throughout the area and the avoidance of enemies! It reminds me of Boulder Dash!